Yes, even our Sunday morning drives are packed in! Driving in Hawaii is a very different experienced compared to driving anywhere else (in the world.) Hawaii has such low speed limits yet its drivers drive excessively over the limit. For example, a limit on one of our main freeways (The H1) is 55 and even 50 at some points, however people drive at 65 most of the time (in the left lane). I’ve noticed that the mainland has much higher speed limits yet its drivers don’t drive that far over the speed limit. For example in Reno, Nevada, the speed limit is 65 on the main freeway, and most people drive at 65 (in the right lane) and sometimes even less than that. It’s not possible to drive faster than 75 on the freeways in Hawaii, unless if you’re driving late at night and there’s no one around. If you try to hit 75 on the freeway during the day, you’ll probably kill someone. People drive slower in Hawaii compared to the mainland, our fast lane is 65 compared to the mainland and places like California and Reno whose slow lanes are 65. Ugh! 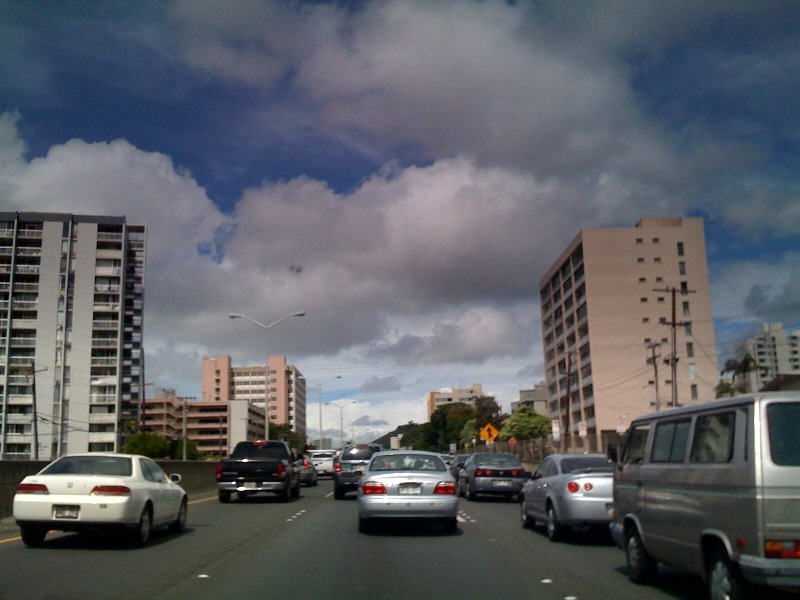 Honolulu traffic. by 44728494@N06 is licensed under CC BY-NC-ND 2.0. Image may have been resized or cropped from original. Traffic in Hawaii is also very unique because it’s very bad. Most people hold the misconception that Hawaii doesn’t have traffic because it’s not an urban city, however if you compare Honolulu’s population density to other cities’, it’s a pretty dense place. There are almost one million people living in that city, so there is major traffic around the typical rush hour times. Traffic going west around 5pm is the absolute worst. One time a few years ago, we had an entire lane blocked off due to a construction issue and it took people almost 12 hours to get home. It’s a small island with a lot of people on it, so when we get one lane blocked, we get a lot of problems. Another thing about Hawaii is that we always let people in our lane and say thank you by giving a wave through our back. I did that in Reno and my friends told me I need to stop doing that or else “people will think that you’re flipping them off,” which I found to be so funny! I’m so accustomed to waving at people and letting them cut in front of me and always using my blinker when making a turn that I don’t know how to drive any other way! To sum it all up, in order to drive in Hawaii you must be prepared to drive very slow. Local residents are not fond of other drives who drive fast and reckless, especially because of the laid back “island lifestyle” in Hawaii. You also must be prepared to wait in traffic almost all the time. The worst traffic will be during the rush hours however there is almost always traffic all the time anyway. 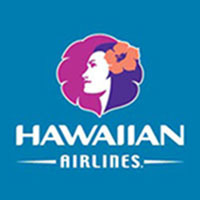 Traveling 10 miles might take you 40 minutes here in Hawaii. A lot of people on one tiny island!